CES 2017 was overrun with dancing robots, VR, and of course smart home gadgets. Some products claiming to revolutionize the smart home were actually not that impressive. 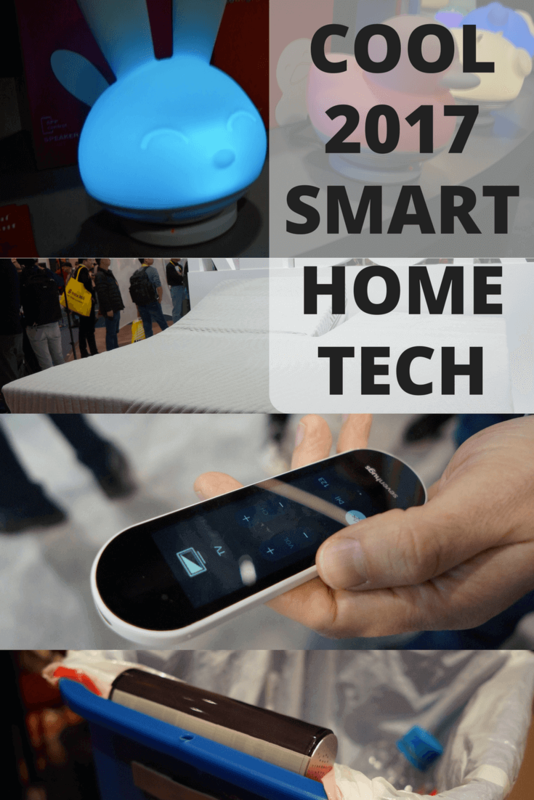 But plenty of big brands and new startups caught our eye as we covered CES 2017 smart home topics. 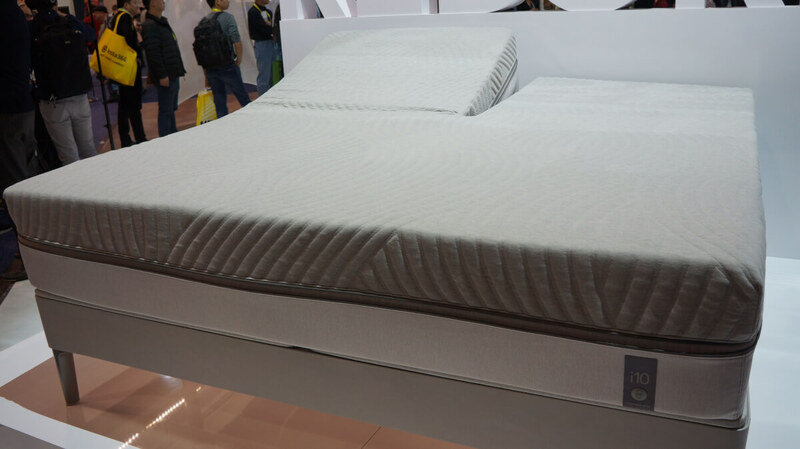 Sleep Number stole the show for CES 2017 smart home tech with its Sleep Number 360 bed, which warms your feet, tracks your sleep, and adjusts itself when you roll over in the middle of the night. It also has automatic snore detection and lifts the upper portion of the bed to relieve snoring. The bed’s smart alarm feature will awaken those lying on it when their sleep is light to not interrupt deep sleep. Sleep Number 360 was very comfortable and its adjustments were subtle enough that I could have easily slept through them. This is the “smartest” bed I’ve ever seen, and it will be interesting to see how the bed’s features stand up to daily use. The bed will be available in the first half of 2017 in stores and online. PLAYBULB makes smart home gadgets like a Bluetooth light bulb with a speaker, a sphere color-changing table lamp, and others. Their newest lamps are designed for kids, and we think children of all ages will love their cute animal shapes. PLAYBULB is also the maker of smart candles. These are nothing new (they are currently available on Amazon), and they are a little gimmicky— they turn off when you blow on them like a normal candle. But we were impressed with how simple and cool these little candles were, especially if you are one of those paranoid parents that doesn’t want fire around your kids. TP-Link announced a few new products and Google Home compatibility. One of the new devices that stood out was a WiFi range extender smart plug. Smart plugs are already nice to have, but the added functionality is a great plus for solving dead zones. They also announced a new router which can communicate with 4 devices simultaneously. 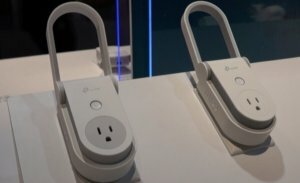 This is important for smart homes with so many connected devices communicating at once. Two cameras were also announced to go along with their highly rated smart bulbs. Imagination is so last year. Kids don’t have to use their imagination to bring their toys to life; now they can do it using technology. 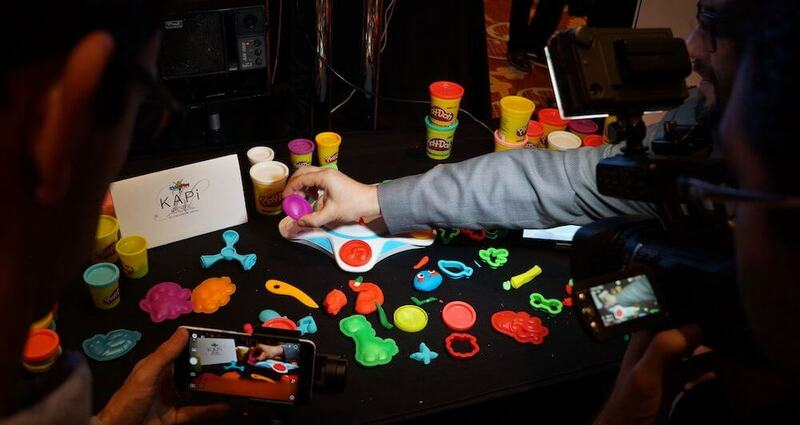 The Play-Doh Touch allows any Play-Doh object to be scanned in using the mobile app. Once it’s scanned in, a 3D version of your object is created that you can play with. The object can be moved around a virtual world and it even has a personality unique to its design. It’s very impressive what they were able to accomplish with a kids toy. What is also surprising is that it’s only $40 and available now. 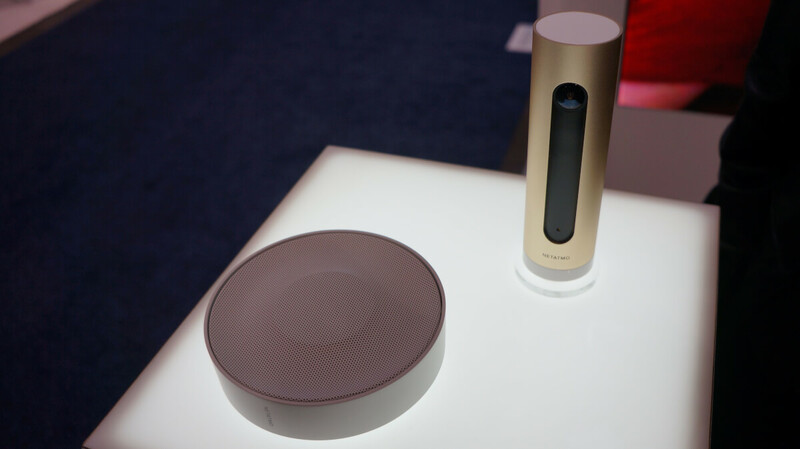 This was one of our favorite CES 2017 smart home devices to try out. 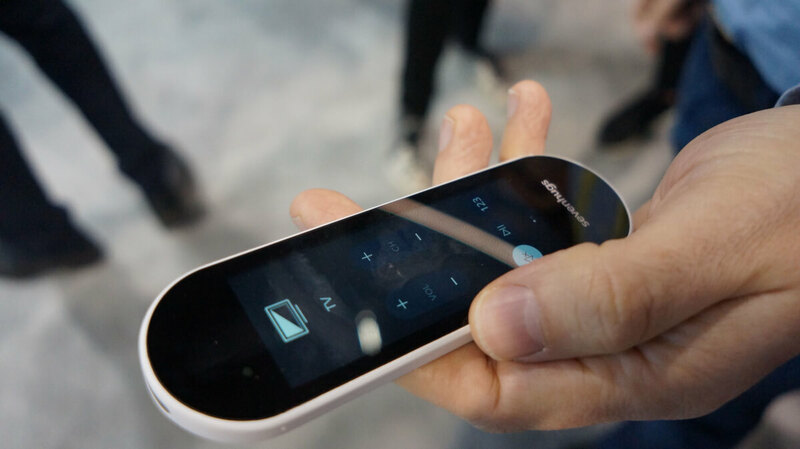 Just point the remote at a smart device and it changes interfaces to control that device. At first, it seems like the remote is using IR to control the lights or T.V. when you are pointing at it. But actually, Sevenhugs works by mapping your living area with three circular sensors that know exactly what you’re pointing at. It was very accurate and you could simply swipe left and right to change between devices without having to point at them. This seems really useful since it is so fast at interacting with smart devices. Voice commands are very convenient, but not as user-friendly or as quick. We also liked that you can program different objects in the house to have special functions. For example, when they pointed the Sevenhugs at the door, the interface changed to order an Uber. Mueral is one of those smart gadgets you have to witness to understand. With a library of 30,000 pieces of modern and classical artwork, it transforms the look of your wall as the artwork rotates daily or hourly. 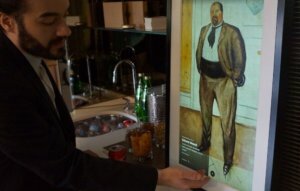 Its screen is LCD and has a matte finish, minimizing glare and looking similar to artwork until you get close. It looks impressive and would be a perfect gift for the hipster in your life. Using a simple swipe gesture, you can manually change between different pieces of art. The app allows users to create playlists and set their Meural in discovery mode. 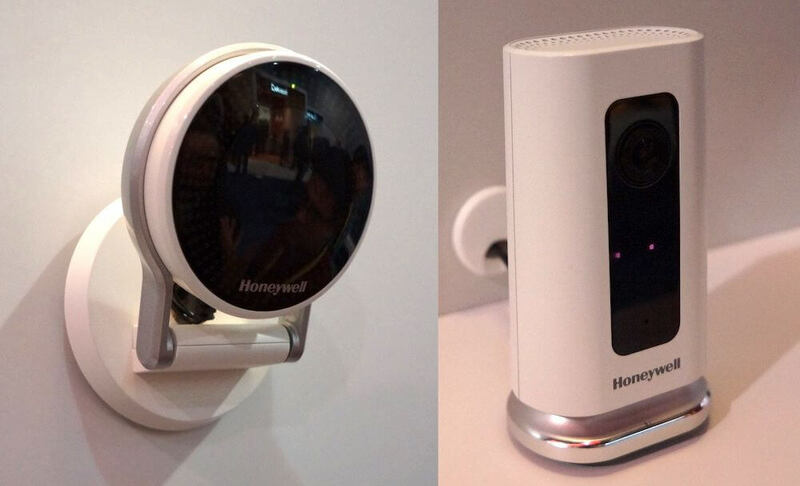 Honeywell showed off two new cameras at their CES 2017 smart home booth: the Lyric C1 and C2. The Lyric C1 is 720p and the C2 is 1080p. They both have two-way voice, 8GB of internal storage, night vision, and detection zones. What makes these security cameras so unique is their storage. Honeywell representatives told us that the cameras record constantly and store on the camera before uploading to the cloud. That way, there is no lag in footage compared to security cameras that begin recording when motion is detected. The cameras also work within the Lyric app, allowing you to control your Lyric thermostat and security cameras in one place. Honeywell will offer 24 hours of free cloud storage, with paid options for upgrading from there. Cameras come with a complimentary 8 GB microSD card. Augmented reality is growing, especially from the popularity of Pokemon Go. SpinTales created a kids’ play mat and bed cover that children can interact with using AR. SpinTales showed a beanstalk growing from the bed and a tiger that jumped off the mat. It’s hard to imagine kids (and adults) not having fun with this. Unlike Pokemon Go, this app will not cause your child to walk blindly into strangers. Samsung is continuing to build their presence in the kitchen with their refrigerators as their family hub. Now the refrigerators will have voice recognition and you can order food from your fridge. You can also add things to your to-do lists, calendar, shopping lists, and view the weather. Basically, everything that people did with a pen and paper on the refrigerator is now done with your voice and a screen. Leave love notes (or angry notes) to your children or spouse. All Samsung French door models from now on will have the Family Hub built in, and their existing model is being upgraded with the latest software. In short, smart fridges will become more “normal” in 2017. 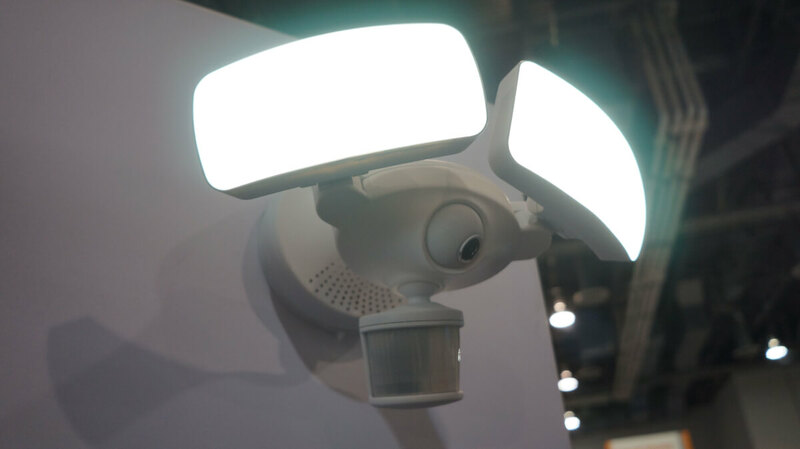 Maximus announced its new security camera and light on the first day of CES. It functions as a dimmable floodlight with a subtle security camera and motion sensor. Besides powering on when motion is detected like a typical floodlight, it also begins recording on its camera, providing an additional layer of security. This adds to the Maximus line up of outdoor security cameras disguised as porch lighting. 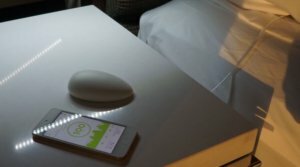 Nora is the simple CES 2017 smart home solution for those who snore. The main visible part of Nora is a small egg-like object that looks like an Apple mouse. It sits on the nightstand and listens for snoring noises. When snoring is heard, the device triggers a small bag inside the pillowcase to slowly inflate and lift the snorer’s head to stop the snoring. The bag is inflated by a small compressor which runs silently and sits next to your bed. Senic wants to be the go-to button that controls some of the most popular smart home devices, lights, and music. It has many ways to interact with it: swipe, click, rotate and gesture above the button. It’s magnetic, so you can stick it to your refrigerator and it has a very solid build quality. The button works by swiping until you see the symbol of the device you want to control. Then you can adjust the volume or change the track. The price seems a bit high at $200, but it does look high quality. 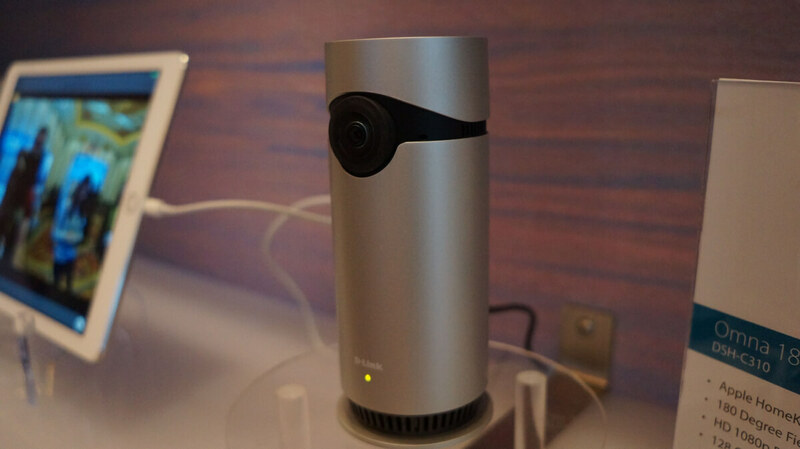 D-Link announced their own HomeKit-compatible security camera called the Omna 180. It has 1080p, local recording, and 2-way audio. The camera also has a wide 180-degree field of view and works within its own app, the Omna app. In 2017, D-Link will also be migrating users of other D-Link cameras into the My D-Link Home app to improve users’ experience. Don’t ask us why they have two separate apps for the different security cameras.? Yale is doing something unique by adding interchangeable modules to their door locks. This will allow you to buy a door lock that is compatible with Z-Wave and then upgrade the module in a few years without having to replace the entire lock. Yale is releasing a HomeKit compatible module in March of 2017. We hope to see more devices use this type of module interchangeability in the future. eyeSight Technologies debuted its new Singlecue gen 2. Similar to the first version, the Singlecue can control your TV, Nest thermostat, Hue bulbs and other devices when you gesture in the air. Swipe through your options and pinch to select, or do a “shush” motion on your lips to mute. Gen 2 has a more accurate sensor and additional gestures. In the future, eyeSight hopes to work with voice partners and connect to additional devices like the Fire TV stick using Bluetooth. There’s no doubt that the Singlecue is easier than digging through the couch cushions in search of the remote. But it isn’t perfect; when we tested it in the CES 2017 smart home area, simple gestures threw it off. Simply putting a pen up to our chin when thinking made Singlecue mute the TV. 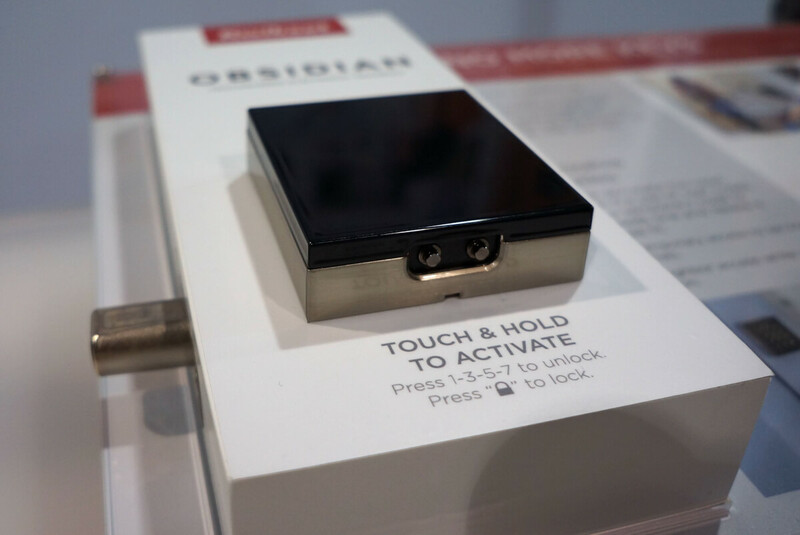 Gadgets with gesture control will continue to grow, and CES 2017 smart home gadgets proved it. But they have to be very user-friendly or they will lead to frustration (Xbox Kinect, anyone?). Lutron announced that its line of smart dimmers and wall switches will now work with SmartThings and the Nest Cam. Working with the SmartThings platform makes it compatible with many other smart devices, which can all be managed and automated within the SmartThings app. Nest Cam compatibility means you will be able to trigger your Lutron-controlled lights to turn on when Nest recognizes someone lurking around your home. SkyBell is releasing a collection of new smart doorbells as shown at their CES 2017 smart home exhibit. SkyBell Trim: This functions similarly to the original SkyBell, but it has a more traditional doorbell shape. Its video quality is 1080p and up to 10 fps, with black and white IR night vision. SkyBell Trim Plus: This doorbell is the 1080p version of SkyBell Trim. It has full-color night vision. SkyBell Max: Designed for those without a doorbell, the SkyBell Max functions on a rechargeable battery that typically lasts 6 months. Unfortunately, that means while your SkyBell Max is recharging, you have to unscrew it and plug it in inside your home, leaving you doorbell-less during this time. Its installation makes it easy to remove for recharging. Watch for this device during Q4. We currently have the original SkyBell HD listed as a Recommended Gadget since it offers more free cloud storage than competitor doorbells like Ring. Lima has created a way to turn your existing hard drive into a personal cloud. Setting up Lima is plug and play, which is much more simple than other DIY cloud options out there. Once it’s set up, there will be a drive on all your computers and an app on your mobile devices to share files. They showed us a movie that was stored on the hard drive and playing on a mobile device. The movie loaded quickly; folders and files created synced nearly instantaneously across all devices. 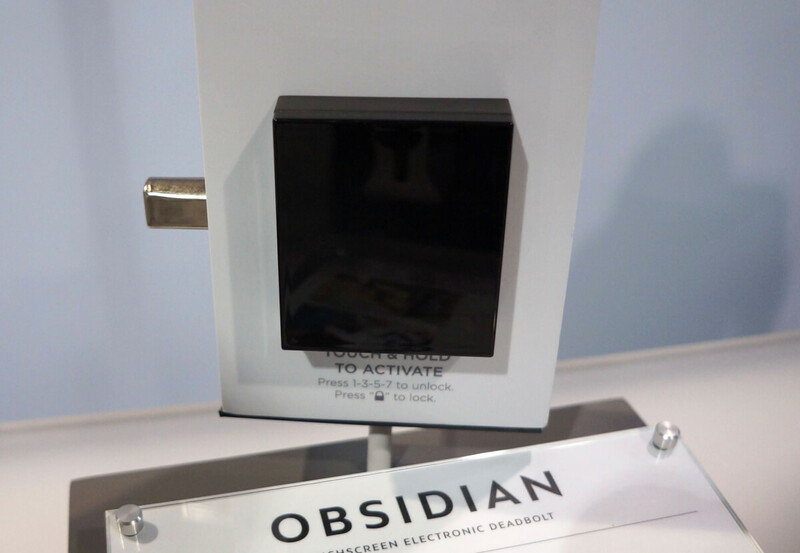 Kwikset, maker of the touch lock Kevo, just announced their new locks Obsidian and Premis. The Obsidian is designed to be very low key (see what I did there?). Its goal is to make keys obsolete. The lock functions on battery power, with reminders before the battery dies. If the user forgets to change the batteries and gets locked out, the lock has a sleek 9-volt slot on the bottom to power it up so you can get inside. Kwikset suggests hiding a 9 volt around the house, similar to how people hide a key under the doormat. Most people won’t know what the 9-volt is for, and even if they figure it out, they still need your passcode to get in. There is also a Z-Wave enabled version with a radio inside for $229 (compared to $179 for the standalone version). 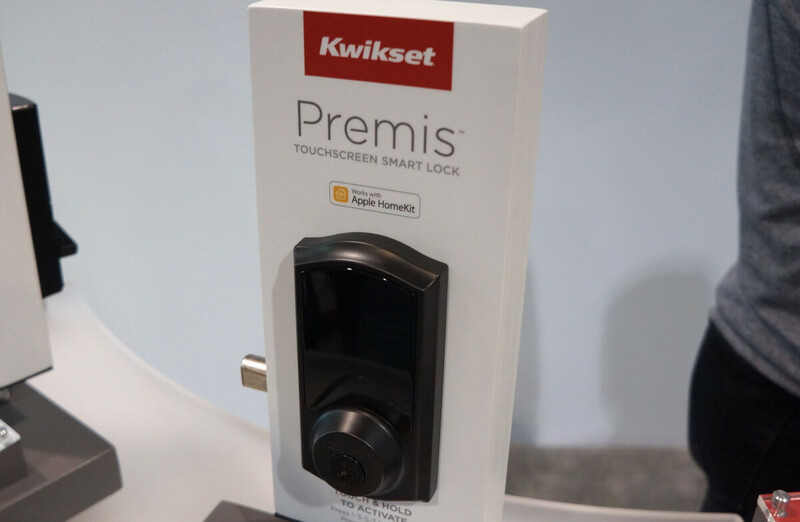 Premis is now for sale on Amazon as Kwikset’s HomeKit compatible smart lock. It works within the Premis app and lets you assign up to 30 unique user codes to know who is coming and going. These codes can be temporary, which is perfect for letting your dog sitter in for a weekend. Since Premis uses HomeKit, you can create home or away scenes for adjusting the thermostat, lights, and door lock all at once. 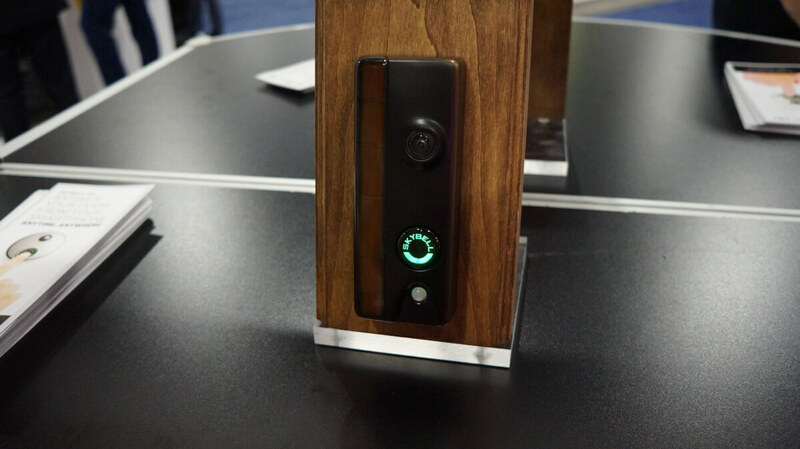 These features made the Premis one of our favorite CES 2017 smart home locks. Both locks have SecureScreen technology, forcing users to press a few extra numbers so that fingerprints don’t give away the passcode. 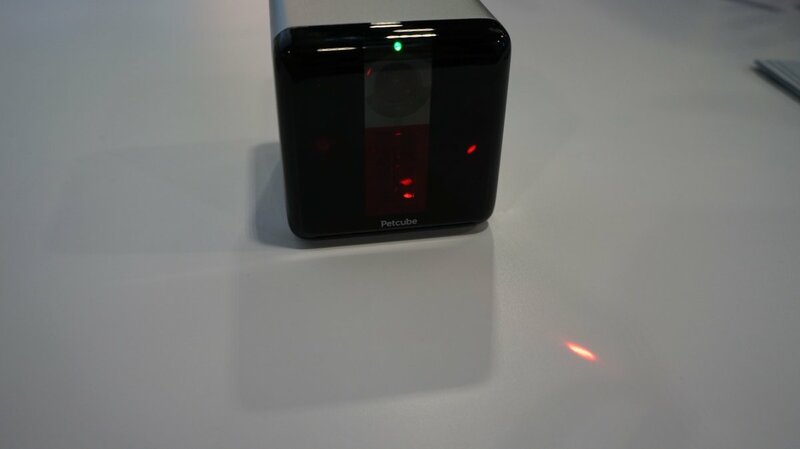 Petcube was showing off their recently announced Gen 2 camera, complete with 1080p video, night vision, more compact size, and a smoother laser response. These cameras are geared towards pet owners, with a built-in laser allowing users to entertain their furry friends during the day. They also offer public or family access so that members of the community can also monitor and play with your pet. Later this year, keep an eye out for the Petcube Bites Feeder, a treat dispenser and camera in one. If you don’t have a pet, adopt one of Samsung’s new smart vacuums. They are designed to clean wherever a laser pen shines, so you can play with your vacuum during the day so it doesn’t get bored. 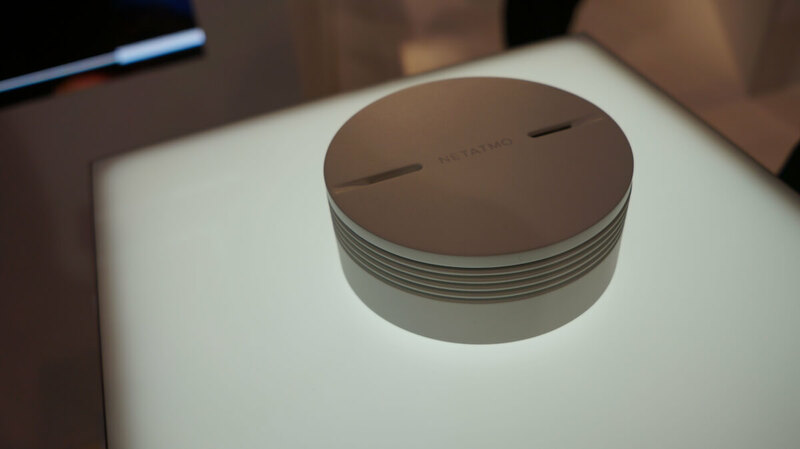 Netatmo announced two additional smart home devices: a smoke alarm and security siren. When smoke is detected, it triggers an 85-decibel alarm in the smoke detector and notifies you on your smartphone. The smoke detector has a 10-year battery, making it last as long as a standard smoke detector. The security siren works with the indoor camera Netatmo Welcome for complete home security. Its siren goes off when Welcome’s facial recognition sees an intruder. Its tamper protection will also notify homeowners when the siren is tampered with. You can also trigger the siren remotely if you see an intruder on the camera, and it can play pre-recorded messages on your command. iDevices had some major CES 2017 smart home announcements. 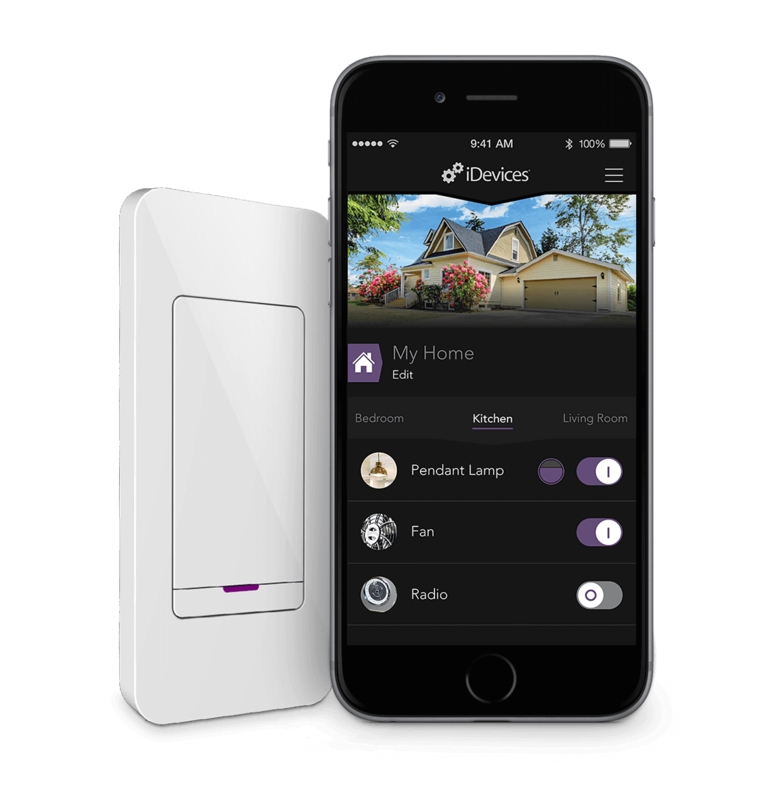 First, their new Android app allows homeowners with an Android to now access and control products by iDevices. The company also debuted their Instant Switch, with a peel-and-stick Command strip on the back. Instead of hiring an electrician to drill holes and run wires for a new wall switch by your bed, iDevices hopes that you will buy their Instant Switch as a $49.95 DIY solution. Its setup seems easy enough, with an included wall plate and ball level for even installation. 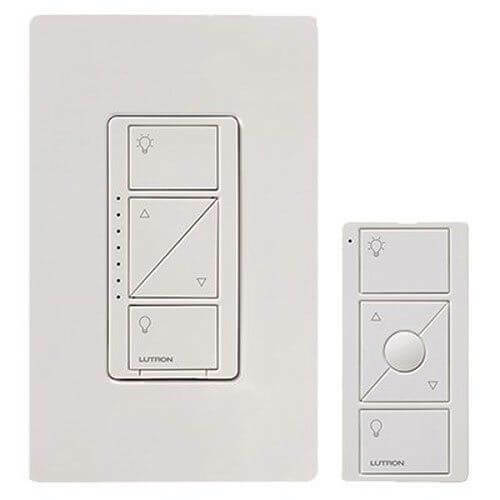 Once placed, the Instant Switch looks and functions like a conventional smart switch, although it only pairs with hard-wired iDevices products like wall or dimmer switches. 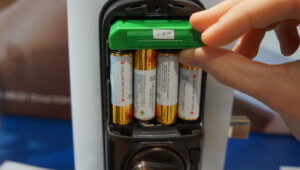 Its batteries last for two years, so you will find yourself replacing those after they run out. Expect to see this switch mid-2017. You probably haven’t heard of Velux, but their announcement about CES 2017 smart home automation was very interesting. 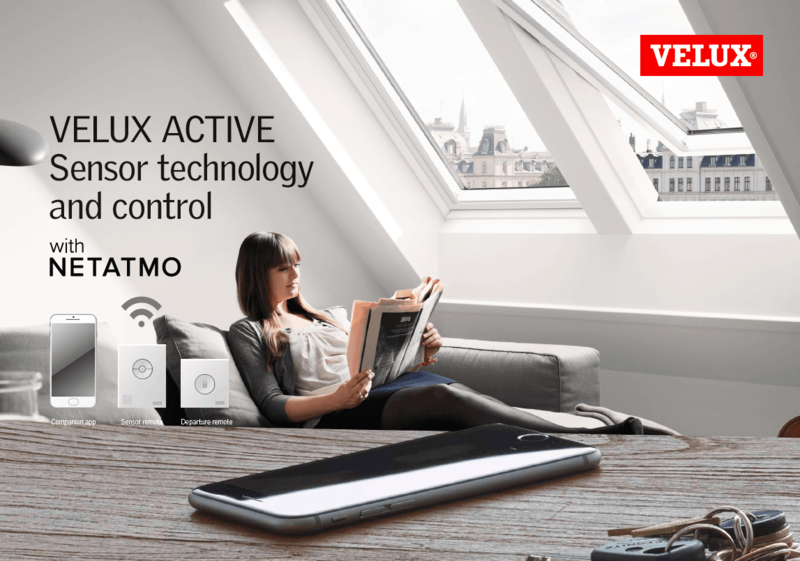 Integrating with their Velux Integra roof windows, Velux announced a line of indoor climate solutions called Velux Active. These will integrate with Netatmo climate monitors to monitor indoor air quality, temperature, sunlight, humidity, and CO2. When the indoor climate has high temperatures or poor air quality, the roof window will automatically open. This solves the annoying issue of opening windows when the temperature is nice outside in the morning and forgetting to close them during the hot afternoons. Velux Active will launch autumn 2017. 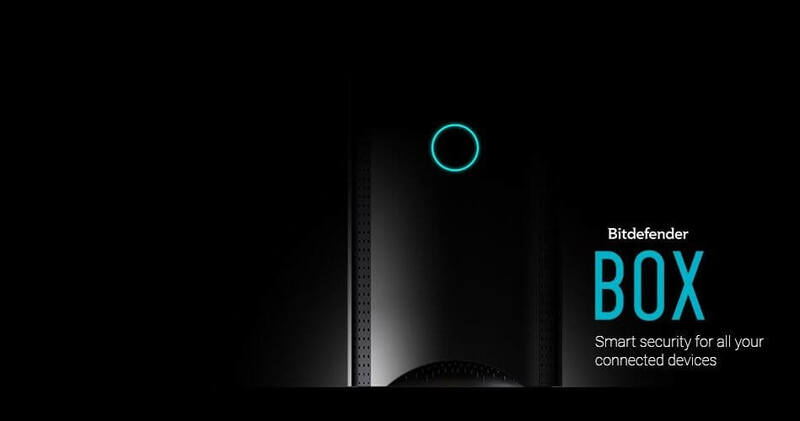 Bitdefender announced Box 2, which is the second generation of their original Box. The Box 2 is going to have improved hardware to monitor all connected devices in your home. Now all of your smart home devices, smart phones, and computers will be scanned for vulnerabilities and have malicious attacks stopped in real time. The Box 2 comes with a year subscription to Bitdefender Total Security and then will require $99 subscription for it to work. It’s supposed to be released by the end of 2017. 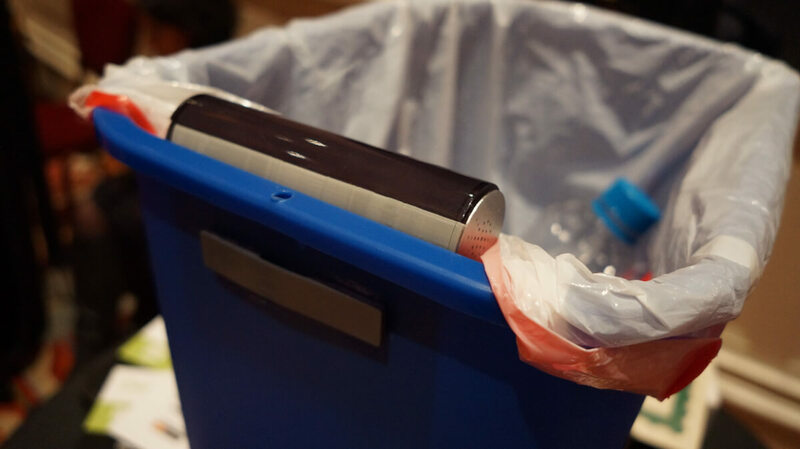 Would CES be complete without a smart trash can? Of course not. GeniCan is a barcode scanner that attaches to your trash can and creates a shopping list based on what you are running out of. While it might initially sound gimmicky, GeniCan’s features actually make sense. Let’s say you use the last of the syrup. Simply scan it as you are throwing it away, and the product appears on your grocery shopping list. If it’s a product without a barcode, hold it close to the scanner until it asks what you want to add to the list, then you can verbally command it to add bananas, celery, or really anything. GeniCan will partner with Amazon Dash to let you automatically order certain products when they are scanned. While you may argue that GeniCan is unnecessary since you can create a shopping list with Alexa, GeniCan is different because it serves as a reminder to purchase these products again, instead of scrambling to remember what you are out of the next time you go shopping. GeniCan ships in early 2017, but preorders are available now at the discounted price of $124.99. CES 2017 smart home gadgets were everywhere. We will continue covering our interviews throughout the year. Which CES 2017 smart home device do you think will have the biggest impact?